The festive season is hot on our heels people! From last minute shopping to unexpected guests dropping by, who knows what Christmas is going to throw at you this year? 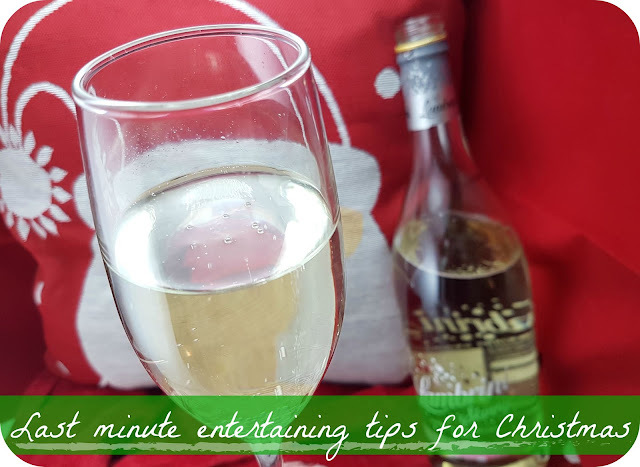 But with a bottle of Lambrini on hand a few other Christmas hostess essentials, you can be ready for each and every last minute guest who might come carolling at your door! What you’re going to need to keep on hand: Lambrini, frozen berries, a simple sugar syrup, candy canes and/or edible glitters. (For a non-alcoholic version, switch the Lambrini out for the white Sholer). Cute but classic, pop some frozen berries into the bottom of the glass then top with Lambrini. Go for smaller, red berries to keep it festive and for an extra festive touch, rim the glasses with the sugar syrup then dip into crushed candy canes or edible glitter. 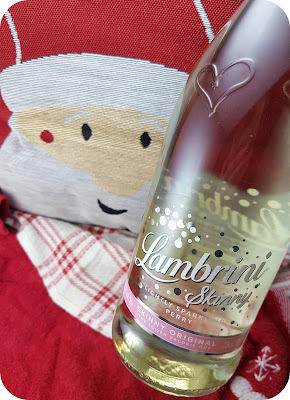 If you don’t have the time for that, simply pop the edible glitter into the Lambrini and give it a stir! If you don’t have any or enough Christmas themed glasses, make sure to keep some festive themed wine glass charms to hand so that every glass you hand out has a little extra Christmas magic. Better than passing around the plastic celebrations tubs - use festive themed cake stands, serving dishes and platters. If you’ve got the time - and notice, to top them with hand made creations, hurrah, if not, crack the frosty fancies out the box and arrange them on the dishes. For a half-handmade attempt, why not dip half an Oreo in white chocolate then top with red sugar balls for some cute Christmas Oreo-puds. Fill wine glasses with nuts and mini pretzals, making sure to rim the glasses with the sugar syrup and glitter combo from the Lambrini cocktails to keep everything simple but extra festive. You can never have too much glitter at Christmas. Top tip! If you’re only providing light nibbles, don’t bother with paper plates and just use festive themed napkins instead! If you’re a candle person, light them up at least an hour before company arrives. If your guests are that unexpected, light them as soon as they sit down, before heading off to the kitchen to get those Lambrini Christmas cocktails ready. Scents invoke such strong memories, and a classic Christmas scent will put everyone in a much more festive mood - including your potentially frazzled self. If you don’t care for candles, why not try adding some pine scent sprigs or sachets into your tree. Your guests are going to love getting a real winter wonderland experience when they take in that fresh pine scent as they admire your fairy lights and baubles. From a pack of playing cards to Dobble, make sure you’ve got a couple of good ol’ classic games on hand. I don’t know what it is about Christmas but it just has me craving for a round of Monopoly or charades. And everyone else seems to have a hankering just the same! Charades or Pictionary are ideal for bigger gatherings, especially if everyone is comfortable with each other, but if all you have are a packet of post-its to hand, who am I is sure to get everyone involved - and is a little less rambunctious! Because even a last minute gathering needs some atmosphere. If you’ve already got a personally curated playlist, smash that play button as soon as you’ve sent the sure, come right on over WhatsApp back. You weren’t expecting company but you’re about to have it so you need to get yourself in the mood before they come carolling on your doorstep. If you haven’t put something together, 5 seconds on either Spotify or YouTube will have you sorted with a festive playlist to suit any and all gatherings. I love setting my playlists up on my smart tv, and encouraging guests to add their own tunes to the playlist as the night unfolds. 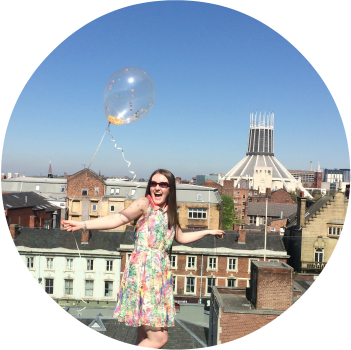 Everyone feels involved and you don’t have to worry about a deafening silence approaching. It doesn’t take much preparation to be the hostess with the mostess this holiday season, just a few essentials and at least a 5 minute warning before those guests drop by - you’re going to be so prepared already that they’ll be convinced you’ve been waiting for them! What’s one essential you always keep on hand over the Christmas season? *This post is in collaboration with Lambrini. All thoughts and opinions are my own. For more information please see my disclaimer policy. Love your ideas, especially the frozen red berries, they do look very festive in a cocktail. 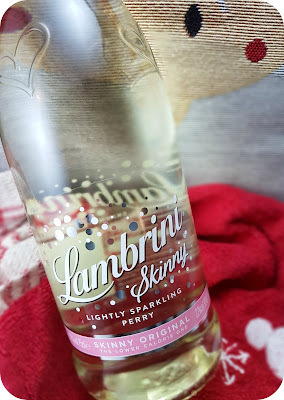 I know you're not supposed to love Lambrini but I really do! It's such a fun drink, perfect for when you don't want to drink too much wine!